Satoru has a strange ability to go back in time moments before a disaster. After his mother is murdered and he is made the main suspect he goes back 18 years to when he was a child and finds himself trying to prevent a series of kidnappings and murders from his childhood. Erased is one of those anime that when it was airing everyone was talking about it. Some people loved it, some people thought it was overly hyped, and there were a few who really didn’t care but just got sick of hearing about it. Given it’s a murder mystery with a supernatural plot device (though that aspect of it never get’s developed or explained), I was kind of sold on the series from the get go. I’m going to keep this review short (or so I thought when I started but it kind of went on a bit) because most of what I’d like to say has already been covered a million times before and also, and because it’s a mystery of sorts (though that aspect doesn’t work so great because you can pick the culprit one episode in after the time jump) so I don’t really want to spoil it for anyone who has avoided the internet for most of this year and somehow still managed to find my blog. I’ve already said the mystery doesn’t work so well. The main issue is the lack of potential suspects. Plus, the story is told in a relatively straight forward fashion (strange for a time travel story) so it’s really easy to get a sense of where things are going and how they connect. That said, just because it isn’t really a guessing who the villain is kind of story, doesn’t make it bad. The plot works really well and the changes Satoru makes in order to overcome the past tragedy have sensible flow on consequences. Though, without any real mystery, the plot could be accused of being a little bit dull. Which is a weird thing to say about a time travel story with murders occurring both 18 years ago and in the present time setting. 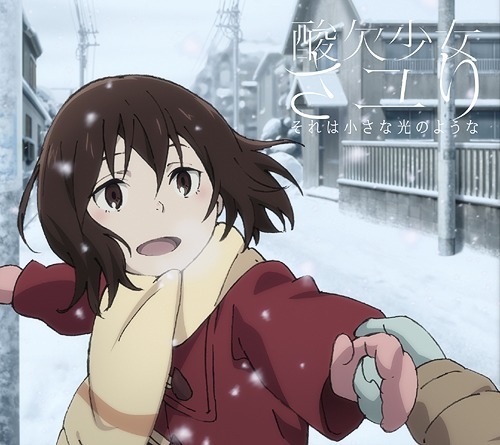 With Erased, it is the characters who sell the show. And even then you couldn’t point to anyone character and say that character is amazing. A lot of people liked Satoru’s mum but I found her one of the least interesting characters because she really didn’t seem like a realistic mother and was more a plot device that existed only to Satoru the advice he needed when he needed it, cause him distress with her death in the original timeline, and filled in any parts of the plot that you really couldn’t expect a child to succeed at overcoming. The friends Satoru has as a child are also a little off and at times serve no purpose. The first potential child victim is interesting but not overly believable as a character. However all of these characters complement each other perfectly and create a show that has a lot of heart and at times emotional depth. Even if they don’t shut up and like to endlessly articulate things that really don’t need to be said. The opening theme is fantastic. On my first watch I wondered what that up-beat song was doing on such a show, but like the cast of characters, there’s a surprising amount of depth when you listen to it and by the second watch through you realise just how perfectly the music is for the story and its themes. Erased is also beautiful. Whether we are focussing on a character or the night sky, everything is just really pleasant to look at and the animation works well. I really enjoyed my first watch of Erased. So much so that I talked a friend into watching it with me about a week after it finished airing and we marathoned the series. This is where I think the plot really succeeds. If Erased had been a guess that bad guy kind of mystery where the reveal at the end was what brought all of the plot threads together, I don’t think a rewatch could have been very satisfying. However, as a character driven piece with a steady and well thought out plot, Erased can be watched again and I actually enjoyed it more the second time through, because I knew what to expect and wasn’t trying to watch it as a mystery. For people that might find endangering a child a bit confrontational, Erased probably isn’t their cup of tea. If you’ve been told it’s a murder mystery you may walk away disappointed. If you actually want to know why Satoru time travels and how that works, give up now. But if you want to see the power of the human spirit and friendship overcome what seems like an insurmountable obstacle and you don’t mind an overly talky ending, Erased will be a rather enjoyable way to spend an afternoon.